I believe that we all consider the eyelash mascara an indispensable item in our makeup set. In addition to highlighting the eyes, the mascara helps to lift the look, giving us so much charm. We use the mascara during the day but it is also part of our makeup for the night. It is more resistant than the regular one and creates greater protection to the eyelashes and because of this, it is more difficult to be removed. The waterproof mascara is more resilient against sweat, tears and water, thanks to the waxes and silicones in its formula. The waterproof mascara contains ingredients, such as isododecane and cyclopentasiloxane. However these ingredients can have the effect of drying out lashes. Many women use waterproof mascara every day, but they also struggle to remove it. If they use soap and water or make-up removers that are not designed to remove waterproof makeup they can cause harm to their skin and eyelashes. The use of specific eye area removers is recommended. Oil deodorizer in its formula is a good option, as it eliminates the main ingredients of the waterproof mascara and makes it much easier to remove it. 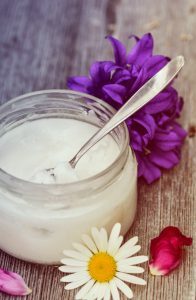 Have you heard about the trick of the hair conditioners? Never do that! It is not recommended because it will end up clogging the pores and damaging the skin. May I Sleep With The Mascara On? No! In addition to irritating the eyes, you will wake up with a terrible appearance, more like a raccoon. Also, the damage to your eyelashes will be much greater, as the mascara will be absorbed, weakening them even more. The skin below the eyes, in this case, will also suffer because you will need to scrub enough to remove the product. 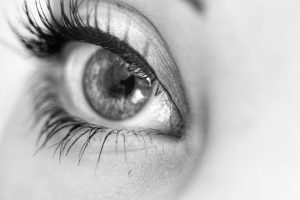 We all love the beautiful effect that the mascara gives to our lashes, but we do not like it if a lot of opportunistic microorganisms decide to make a big party on them. The composition of the mascara, which promises long duration, has stronger ingredients than the normal mascara. It is also thick and somehow sticky, which makes the perfect place to dust and other dirt stick there. Waterproof mascara is ideal for the summer months, when you know you can get sweaty or during rainy days. However, I advise you to avoid using it every day. The ingredients in the formula to be waterproof can have the effect of drying out lashes, which can lead to them falling out. Also, it is hard to be removed, and the continuous rubbing can cause your lashes to become weaker. Remember that unless you have an event where you will spend hours there, using waterproof mascara is not necessary. In this case, the product is an excellent choice, because you will not need to touch up the mascara and there is no risk to be removed. For your daily use, it is recommended to use the regular mascara, leaving the other for the weekends. This way you will give a balance, not attacking your eyelashes or even your skin every day. If you want to prevent damaging your eyelashes, a great tip is to apply one coat of primer or regular mascara first. This will not only add more volume to your lashes but will prevent your lashes from the strong formula the waterproof mascara contains. Another benefit is at the time of removing your makeup. During the day your waterproof mascara will do its waterproof job but at the end of the day removing it will be so much easier. So, I already mentioned how important is to remove your waterproof mascara before going to sleep and how bad can be the inadequate removal of this product. Here you can see the best ways to remove it without damaging your lashes and skin. When removing the makeup, have in mind not to rub the cotton against the eyes. It is essential to remove the mascara gently, otherwise, you can pull your eyelashes or cause breakage and weakness. With patience and care, always make gentle movements in the same direction. Forget about the soap. The makeup remover is the best way to remove any type of makeup because it acts efficiently and safely, and leaves no trace of the product on your skin. It could be any oil, but I prefer the coconut oil because it is very thin and seems to melt the mascara on the lashes. The same way that the coconut oil acts on your skin, this oil can also be used to soften eye makeup, especially the waterproof one. It is very easy to use; just apply a little on the area and spread it gently with your fingertips. Yes, it will remove everything! Tested and guaranteed. There is more: the oil also strengthens the lashes. Just put a little product at the base of the eyelids with gentle movements the and in a month or so you will notice a significant eyelash growth. The coconut oil is perfect not only to take care of your eyelashes. It can be your skin’s, body’s and hair’s best friend. Here you can find which are the proven benefits of the coconut oil. If you prefer to go with a makeup remover, the best way to remove the waterproof mascara is with biphase makeup removers. Those are the ones with oil in their formula and, to be honest, this is my favorite type of eye makeup remover and the only one I’ve found to be effective on waterproof mascara. The oil helps to soften the mascara, facilitating the complete removal of it. On top, this kind of remover is perfect for the sensitive skin around your eyes. However, you need to have a little patience and leave the eyelashes “soaked” in cotton. The first thing your skin will thank you for is the fact that it is absolutely alcohol-free. It is a bi-phase lotion. There’s an oily layer on the bottom and a more watery layer on top. Before using it, shake the bottle to mix the two up and apply to your eyelashes. Yes, it is really that simple and easy. It is so impressive how the oil easily breaks down pigments and waterproof products while the water phase softens and tones your skin. There is no need for rubbing and causing harm to your skin and eyelashes. Another benefit of this eye makeup remover is in its formula, specially made for sensitive eyes. It it’s worth a try. You will be impressed, and you will be using your waterproof mascara without a second thought.